Join Eric Fischetti, Nick Ohrnberger, Dominick Arbolino, Zach Calabrese, Eleanor Ciampi, and Matt Charkowick as they preview the NFL Divisional Playoff Round, discuss the DJ Lemahieu and Jed Lawrie signings, Adam Gase, Gregg Williams, and so much more! Plus! Hockey talk with the true hockey maven herself Eleanor Ciampi. 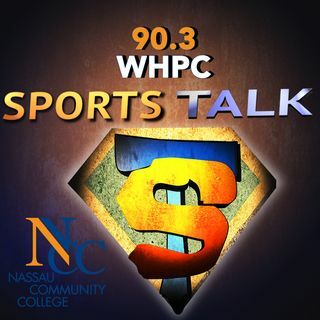 It's all right here on WHPC Sports Talk on The Voice of Nassau Community College 90.3 WHPC!